Shelf - What's an Alpaca? 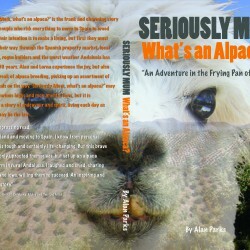 I am Alan Parks, author of the best selling book, Seriously Mum, What's an Alpaca? It is a memoir based on my partner and I's decision to up sticks, leave behind our comfortable city life and start a rural life in Andalucia, Spain where we now breed alpacas.